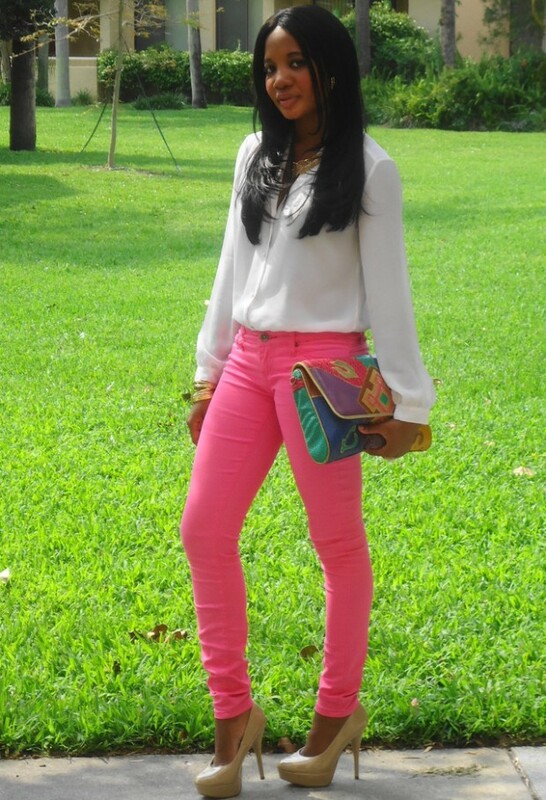 Colored jeans are ideal for spring. They look sweet and they are perfect for every occasion. There are so many outfit combinations that you can created with colored jeans. They will look perfect with white top or denim. Check out the following stylish ideas and find inspiration for your spring outfits.